Investment in second homes has been surging around the world. This surge has triggered a serious political backlash in many countries, especially in tourist areas and superstar cities. The backlash has at least in part been driven by legitimate concerns, such as ever more unaffordable housing, destruction of areas of natural beauty or creation of ghost towns during large parts of the year. The crucial question is how politically to address these concerns. Some countries, such as the UK, and cities, such as Vancouver, have introduced substantive transaction taxes on the purchase of second homes. Another policy that has become increasingly popular are constraints or outright bans on the construction of new second homes. The latest example in the UK is the Cornish seaside town of St. Ives. Other local communities in Cornwall and across the rest of the country have signalled interest in including similar policies in their own Neighbourhood Plans. What are the economic impacts of such bans on local housing and labour markets? This is the question that my co-author, Olivier Schöni, and I explore in a recent CEP study. In our empirical analysis, we exploit a unique quasi-natural experiment, the Swiss Second Home Initiative (SHI), to test theoretical predictions and identify causal effects of a ban on the construction of new second homes. The SHI requested that construction of new second homes be banned in municipalities where such homes represent more than 20% of the total housing stock. The SHI was approved by the narrowest of margins – 50.6% of votes and 13.5 of 26 cantons – in March 2012. It came into force in January 2013. Voters in tourist municipalities with very high shares of second homes were heavily opposed, presumably due to fears about adverse effects on the local economy. This contrasts with voters in the larger Swiss cities who favoured the initiative. So what were the effects of banning the construction of new second homes in desirable Swiss tourist locations? The ban on the construction of new second homes lowered the price of primary homes, adversely affecting local homeowners, but increased the price of second homes, further raising the wealth of existing – typically already wealthy – second homeowners. We also find that the policy increased unemployment rates, thus harming the local labour force. All in all, our findings suggest that the local economy effect (affecting primary house prices negatively) dominated the amenity-preservation effect (affecting primary house prices positively), resulting in an overall fall of the price of primary homes. They also suggest that, at least in the Swiss context, constraining the construction of new second homes reinforces rather than reduces wealth inequality. Banning the construction of new second homes or imposing transaction taxes on second home purchases may be politically popular policies in the short run. But our research suggests that they may not do anything to cure the underlying causes of the problems. What makes cities productive? For a long time, researchers have known that city size matters a lot – people who live in larger cities tend to earn more and be more productive. People (and firms) benefit from proximity to each other and these benefits are manifested in cheaper trade, improved hiring and learning, and a wider choice of inputs and products. But does city size always generate proximity gains? A city that occupies a large area may also have very low density and low proximity, compared to a more compact city with the same population. 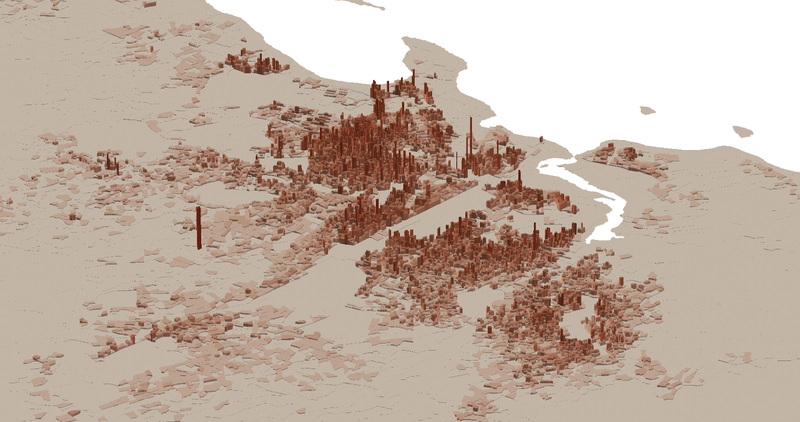 In the same way, even a city’s high average density may not mean high proximity. Can we test if the shape of city density has economic implications? If so, how can we capture the meaningful dimensions of the city density? In our recent CEP discussion paper we try to answer these questions using data from cities of sub-Saharan Africa. 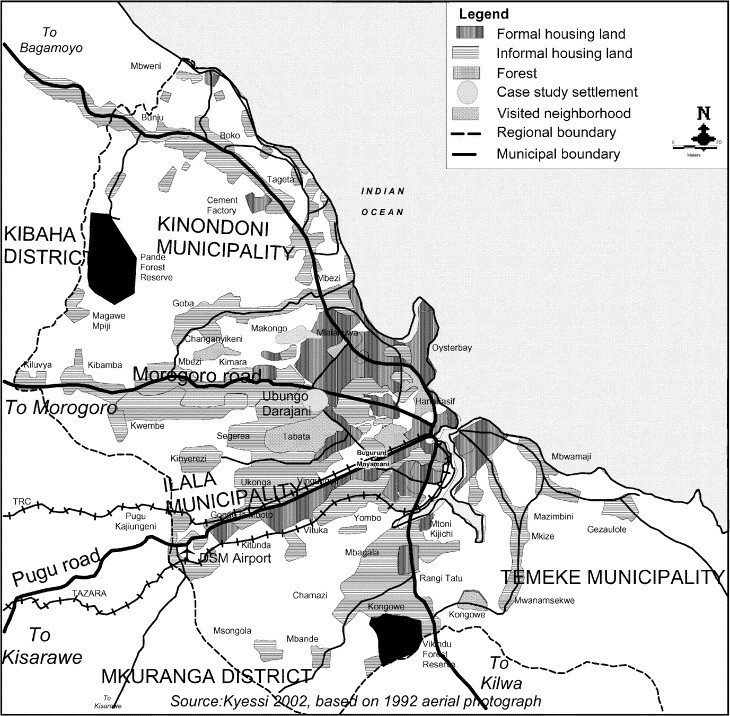 "[…] Dar-es-Salaam is not systematically structured either in form of functional zones, or of income levels, or of types of developments. It does not reflect a structure responding to either a city well ordered by government, or, to the niceties of the market theory. It is this kind of unpatterned, irregular, and hotch potchy development, inconsistent with good land use planning or with the economic theories of land use structure, which engendered interest leading to this study." Twenty years later and not much changed in Dar-es-Salaam. Even though the residential population distribution on Figure 3 tells us nothing about the location of firms and workers, it is evident that people reside far from each other: the highest density settlements are informal, and large residential areas are far away from the coastal centre of the city. The story of Dar-es-Salaam is not a unique one in Sub-Saharan Africa. Colonial history, imperfect transport systems, and lack of formal land has impelled cities to grow haphazardly, leaving many crammed in informal sector areas with poor access to the economic and social opportunities of urban life. Figure 2. Dar-es-Salaam population distribution according to the 2012 population census. In our study we use Landscan - a dataset the captures the distribution of ambient population, i.e. the average number of people in each square kilometre of the city over 24 hours. This measure captures not only residents, but also indirectly the location of firms. Understanding the actual proximity of people or workers within a city also requires a measure of the city extent, which defines a self-contained labor market. We choose population density to define city extents and use 1,500 people per km^2 as a simple cutoff. Living Standard Measurement Study (LSMS) surveys from the World Bank give us income and wages for cities in six sub-Saharan Africa countries. Comparing 599 large cities in Africa to other continents reveals that the African cities are denser, and more clustered, than those in the developed world. This is surprising, since the example of Dar-es-Salaam is often seen as representative of a more general problem of weaker land institutions in Africa (which would lead to lower clustering). If we look at differences of the cities in sub-Saharan Africa and the cities in other developing countries, we find that sub-Saharan Africa, Asia and North Africa are similar in terms of density and all clustering measures. It is Latin America that is less clustered. Looking across African cities, density correlates with individual and household wages in that city, but clustering does not help explain differences in wages. This is puzzling. Especially when we see that for detailed firm-level data in Kampala higher worker density does matter for firm value added. What explains the higher than expected clustering of African cities? One possible explanation is that our measure of “ambient” population captures the residential population more than the worker population. If higher density, or “cramming”, compensates for difficult commutes then the pattern of residential locations swamps the distribution of employment that matters in explaining productivity. 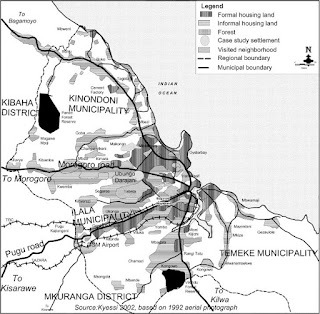 This could also explain why our clustering measures fail to explain wage premiums even though the Marshallian theories (and some additional findings for worker density in Kampala) highlight the benefits of proximity. Landscan only provides a proxy (e.g. built cover, building heights and other undisclosed data) measure for the things we care about. Comparing and contrasting novel spatial datasets, such as Landscan, with traditional survey and economic census data would help improve our understanding. Adding transport costs can also paint a better picture on the true proximity between workers. See Akbar et al. (2017) for steps in this direction. These questions and data limitations provide lots of opportunities for future research. As better data become within reach, we will be able to calculate our clustering indices and better test our proximity theories.